NB: I wrote this back in July before heading out to Brazil but never got round to posting it. I can’t believe how fast time has gone by, it seems like just yesterday that I was running down The Mall finishing the Virgin London Marathon. But no, that was 3 months ago now and here I am ready to pack my bags to head out to Rio, via the holding camp in Belo Horizonte, for the worlds biggest sporting party – the OLYMPIC GAMES. It still doesn’t seem to have fully sunk in. 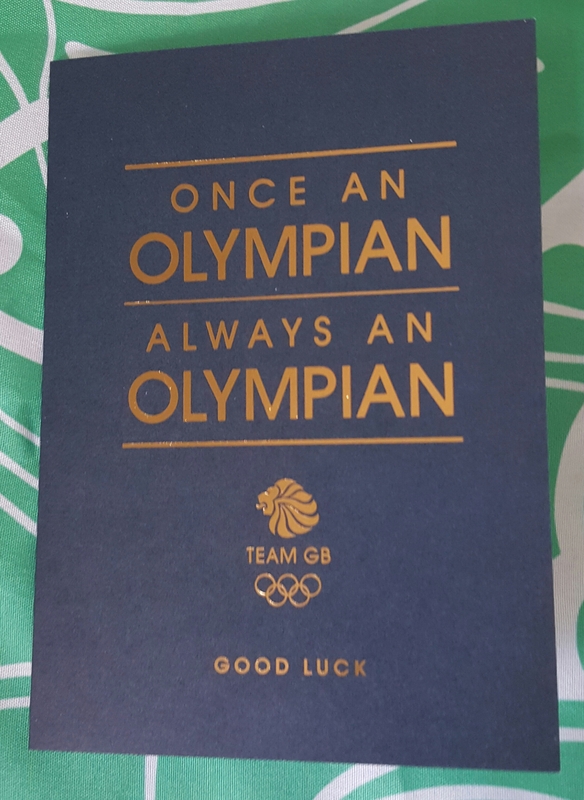 Some days I wake up and need to pinch myself to make sure I am not still dreaming when I see my large hold-all, emblazoned with TEAM GB across it with a name tag saying ALYSON DIXON – ATHLETE attached, lying by my bed. Other days I wake up with a broad grin knowing that I’m going to be competing in the pinnacle of my sport. And then there’s the days when I wake up in a cold sweat, scared of what is lying ahead, doubts running through my mind, worried that I am not going to do myself justice out there or worse, let my family, friends and country down. Thankfully the later is getting less and less and as training has progressed, my confidence has grown. You do feel a large burden of pressure is placed on you. You are living the dreams of thousands of people – a life I myself have dreamed of for over a quarter of a century. There’s only EVER been just over 5500 summer Olympians in GB, it’s a very special family to be part of and once you join, you never leave. On the whole the excitement is building. We’re now in the ‘Olympic period’ which means that official Team GB kit is now part of my everyday attire and every time I put on something with that’s lions head roaring the sense of pride and passion is overwhelming. I’m just rounding off a great training block up in Font Romeu where most of the endurance team have been based for the last 2 months or so. I myself, have been here since just after the Blaydon race, about 2 months by the time I leave. It’s a great group and there’s a real good vibe amongst everyone. I love being on the track when everyone is down there training. Sharing the track with some of the worlds best, shouting encouragement to each other whilst getting your breathe back during a recovery. There’s a great buzz around these guys and everyone’s positivity bounces of each other and seeing the likes of Charlie Grice and Eilish McColgan smash their PB’s and Laura Muir go out and smash the British 1500m record has added to that buzz. A high 5 from my number 1 fan, nephew Charlie, after winning Blaydon. I knew that the build up to this race was always going to be tough as it was such a short turn around after London. Prior to London I didn’t want to look too much into plans as I didn’t want to jinx anything or count my chickens. I’d pencilled in Blaydon and the European Half Marathon champs as two races I’d like to do no matter the outcome of London. Going into Blaydon I didn’t know what shape I was in. I’d only been back running about 3 weeks and done one reasonable tempo and one shocking track session. Somehow I managed to pull it out of the bag and win again. Don’t ask me how. A watch malfunction which led to me being told I ran the 1st mile in 5.23 rather than the true 5.05 probably helped as it made me believe that I was taking it steady rather than smashing it – it’s amazing the tricks your mind can play on your body!! Recovering in the sun post European Half Marathon Championships in Amsterdam – it was a hot one!! So I went up to Font Romeu knowing I was in decent nick speed wise, just needing to pull together a few long runs and the job would be done. I always pick up a lot of fitness at altitude so knew that my biggest concern was not to over do things, especially in those first few weeks with the Euro champs on the horizon. Training went well, I put together some good miles, long runs were strong, tempos were where they should be and track sessions were hitting times. Amsterdam was a tough race. It turned out be very hot on the day – 26 degrees out on the road. The course wasn’t the fastest with lots of 90 degree turns and tricky little inclines over the canal bridges. 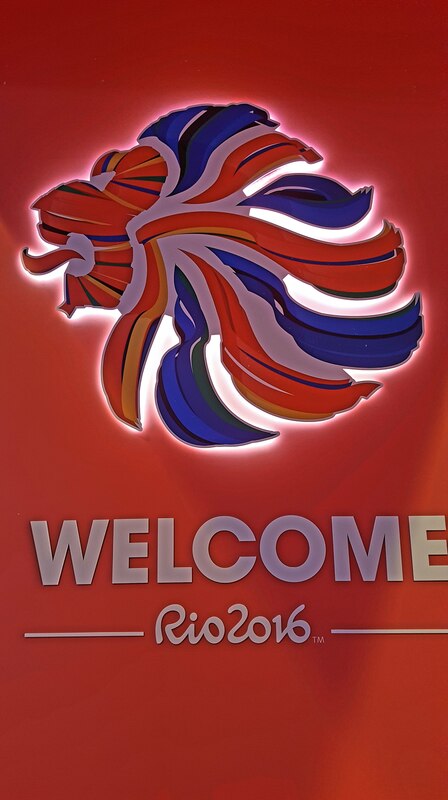 The heat was great prep for Rio. It allowed me to see how my body would react to those temperatures. I managed quite well, making sure I took on board enough fluids the day and morning before my race and also at every feed station out on the course. I had a solid run. I didn’t panic when everyone went off like bullets. My legs weren’t capable of going with the pace which was a good thing as there was a lot of casualties later on due to the fast first 5k. No one ran fast that day but the girls I finished around had much faster PB’s than me, so I was happy. Back up in Font my final block of training has gone well. I now just need to get through a 11.5hours flight to Rio and then connection to Belo and it will be taper time. We are really lucky that we have some of the best support staff in the world and everything has been looked after for us. We’ve been given detailed traveled plans including when to nap, when to wear eye masks or blue light reducing glasses, when to expose ourselves to light etc to help us through the extensive travel and to adapt to the new time zone once we arrive in Brazil. From what I’m seeing and hearing so far the holding camp is amazing! 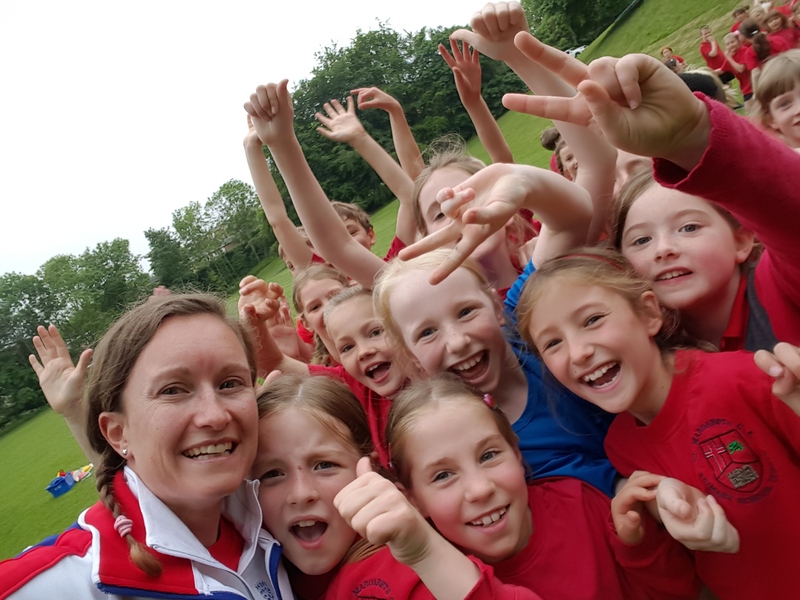 It’s not just an athletics camp it is a Team GB camp so we are there with other sports just like we will be in the village. There was been some bad press about the village not being complete and safe for the athletes to move into but we are being reassured by Team GB that everything is fine and the athletes who are in there already are confirming this. Originally I wasn’t going to have any family out in Rio to see me compete but we’ve been really lucky in that my mam and dad have gained hotel accommodation thanks to the amazing generosity of Proctor & Gamble. Finances was always the main stumbling block stopping my parents from coming out to support me but now with only their flights to pay for (still a hell of a lot!!) they can be there on the road side to cheer me. I honestly couldn’t be more excited and happy about this. My parents have been there for me every step of this journey. They have always encouraged me but never ever pushed me, it’s always been my choice to pursue my dreams. But they have given me unconditional support physically, finally and most importantly emotionally. They do stress me out at times, especially my mams nervous worrying but I know that whatever I do they will always be there for me and will forever be proud of me. My mam is stepping waaay out of her comfort zone to come out to Rio and that shows how much this means to her and I will be forever grateful for their love and support, I could never have done any of this without them. I guess that as I stand in Heathrow on Monday morning, suited and booted in the red, white and blue of Team GB with my bags packed and ready to go, then it will all be real, I will be making that final step to becoming an Olympian. It’s a moment I’m going to savour along with every minute of the rest of the next 3 weeks. The race is my victory lap for all the years of hard work I’ve done, the time I’ve dedicated to making it this far and all the stumbles I’ve had along the way. Back in 1992 I sat and watched the Barcelona Olympics on TV, I went out and bought myself the replica tracksuit and began dreaming of one day wearing the genuine article for real. I always dreamed, but never truly believed it would happen, now it has. I’m living proof that dreams do come true. It takes a lot of hard work, belief and never giving up but eventually you get there. Will there be a “follow-up” post about what happened AT the Olympics ?